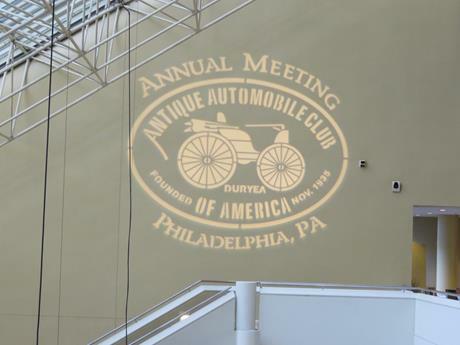 The 83rd Annual Meeting of the Antique Automobile Club of America was held in Philadelphia on February 7-9 2019. 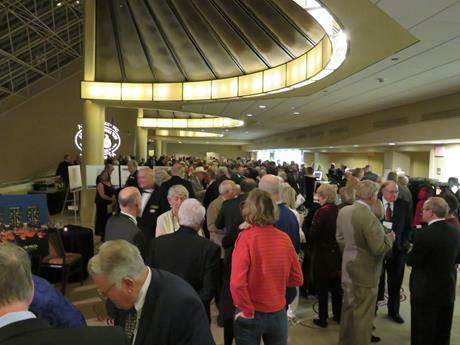 Several of our Chesapeake Region members were in attendance. 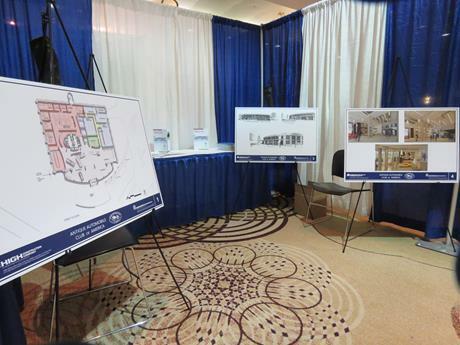 The host hotel was the same as in recent past years, however the name has been changed to "Philadelphia 201" while renovations are undertaken. 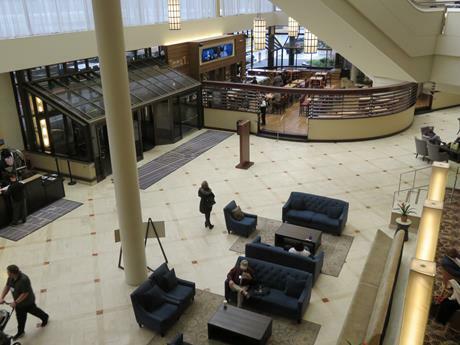 The large lobby contains the registration desk, as well as two eating facilities and areas for lounging and personal computer use. 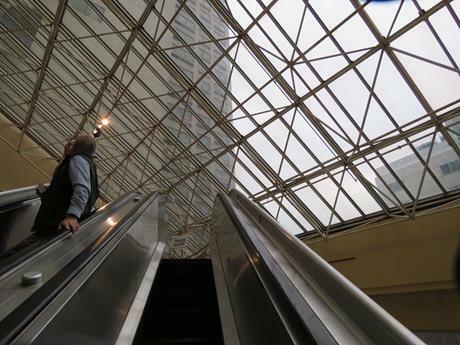 A series of escalators provide easy access to a variety of both large and small meeting rooms on the next two upper floors. 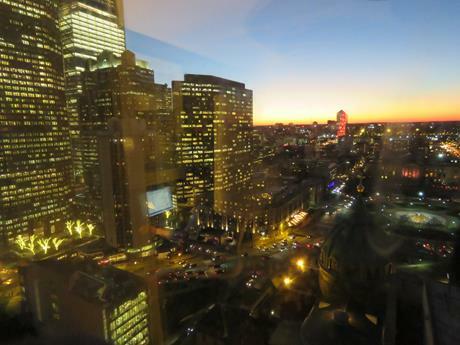 The highest floors of the hotel provide spectacular vistas of the Philadelphia sunset. 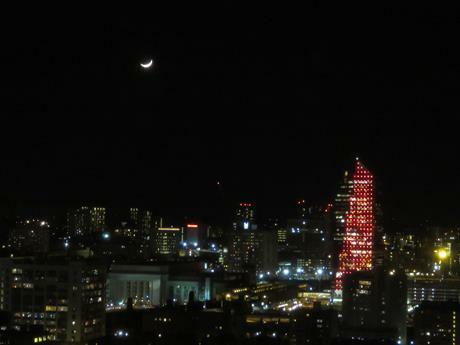 Wait an hour and you might see a crescent moon rise over the "City of Brotherly Love." 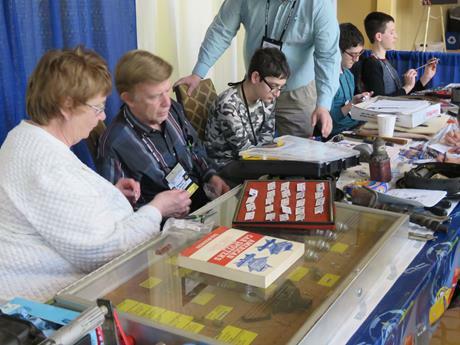 At the Registration Desk, attendees picked up identification badges and schedules of the weekend activities. 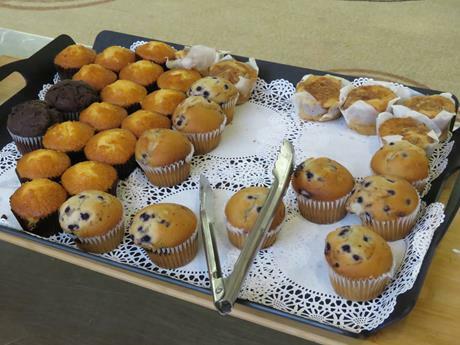 Free morning muffins and coffee were available to start the day, courtesy of AACA. 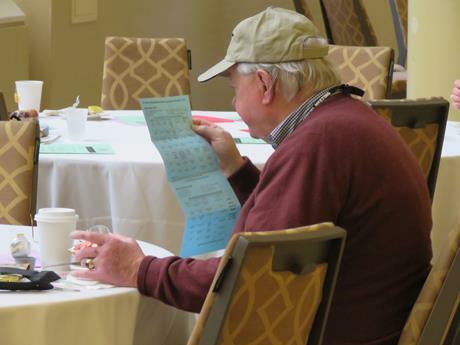 Newsletter editor Bill relaxes and looks over the Seminar Schedule. 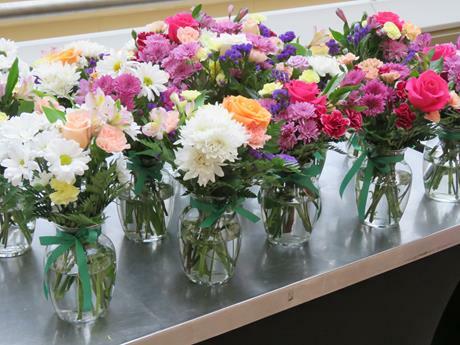 Attractive flower vases were assembled, destined perhaps for the tables at the First Lady's Breakfast. 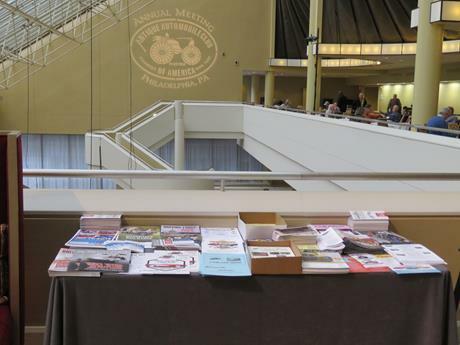 A table was available for leaving promotional materials for Region events. 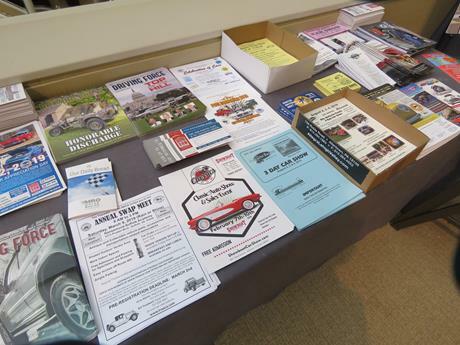 Magazines, brochures and event flyers advertised various swap meets and car shows. 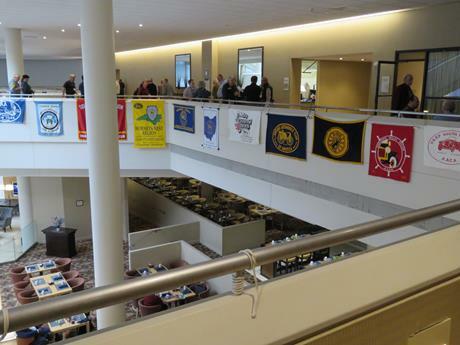 AACA Region and Chapter banners hung from the upper-level railing. 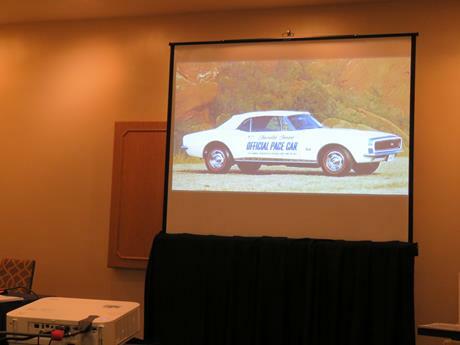 One of the Friday morning seminars discussed the first generation of Camaros. 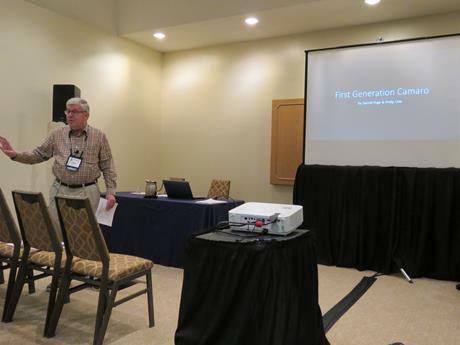 The seminar, hosted by Phillip Cole and Darrell Page, discussed the 1967 through 1968 years. 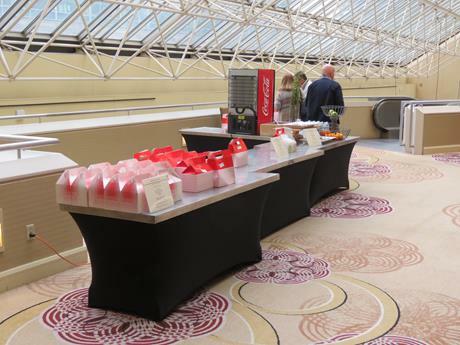 Box lunches were available for the short break between the morning and afternoon seminar sessions. 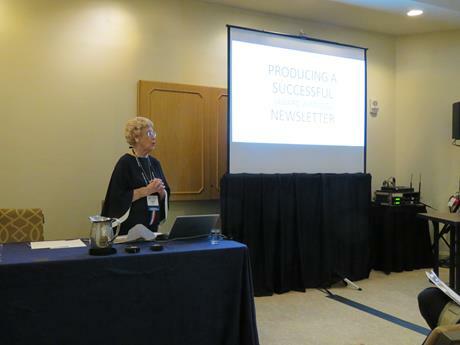 Chesapeake Region newsletter editor Bill Wurzell and webmaster Buzz Diehl atended the afternoon Publications Seminar and Webmaster Forum. 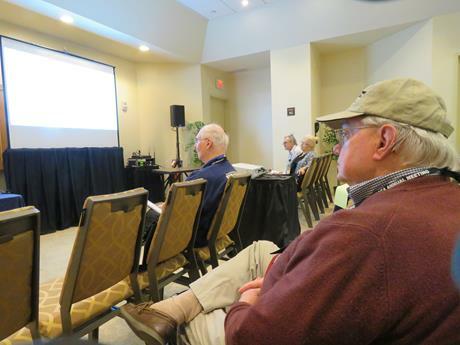 Chesapeake Region "Master" newsletter editor Bill listens intently to the presentation. 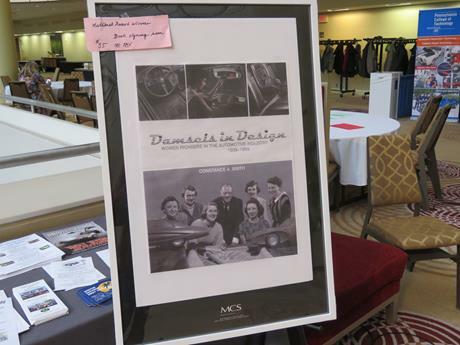 Documenting the role of women in the field of automotive design was this book for sale in the lobby, and at a booth in the Trade Show. 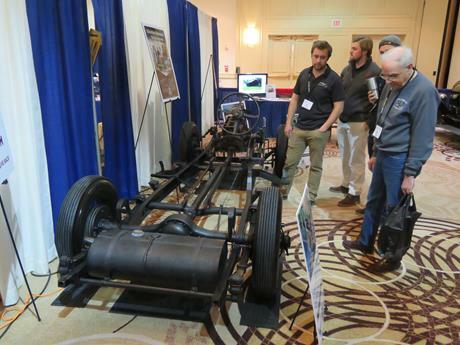 A variety of auto-related vendors were present in the Trade show. One vendor display that attracted attention was Nuprint CUSTOMS with their various coating products, such as HD Chrome, described as a "chrome alternate" for bumpers, grills, light bezels, etc. 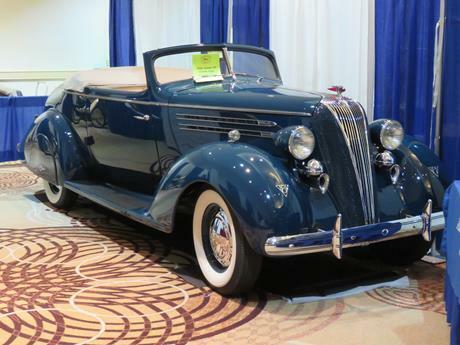 America on Wheels, an antique auto museum, brought a 1936 Hudson convertible to display. 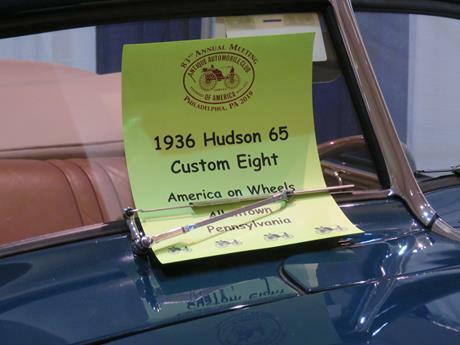 The museum is located in nearby Allentown, Pennsylvania. 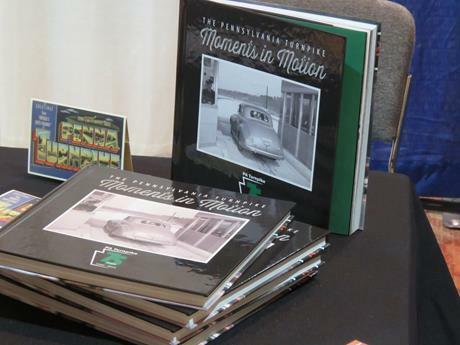 For sale at another booth was this book chronicling the history of the Pennsylvania Turnpike. 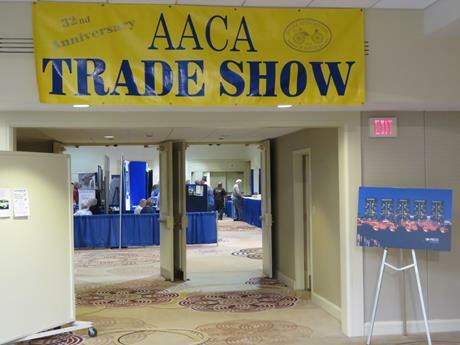 AACA had a booth describing their new headquarters building and encouraging donations to help finance its purchase. 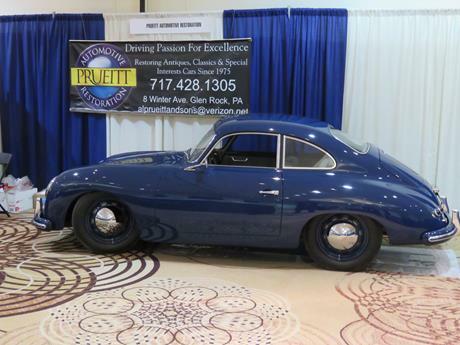 Prueitt Restorations of Glen Rock, Pennsylvania also displayed a vehicle. 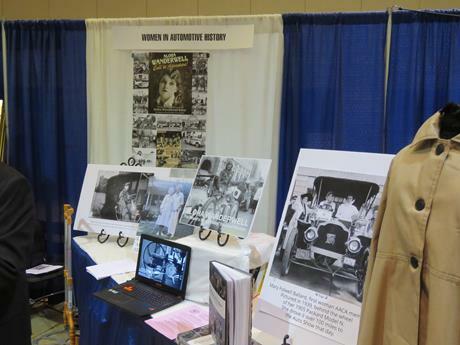 This booth highlighted the role of women in automotive history. 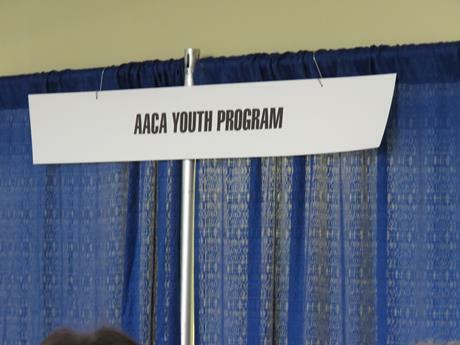 AACA has an active Youth Program, promoting youth involvement in the automotive industry. 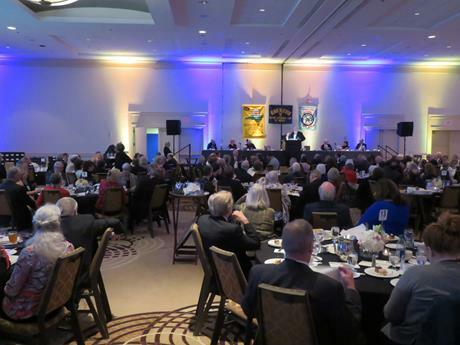 Chesapeake Region President, Paula Ruby, newly elected to the AACA Board of Directors, has been appointed to oversee this important AACA function. 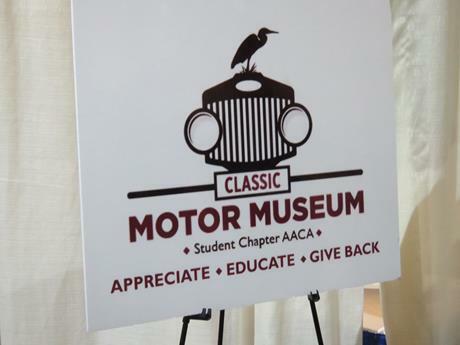 The Maryland Eastern Shore, AACA Bay Region has established a Student Chapter, based at the Classic Motor Museum in Saint Michaels, Maryland. 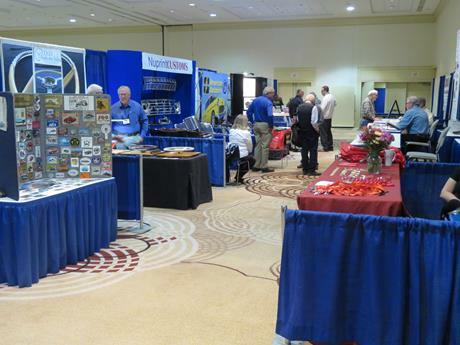 They displayed some of their handiwork in the Trade Show. 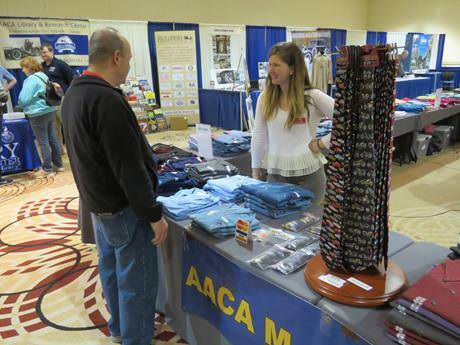 AACA clothing was displayed for sale. 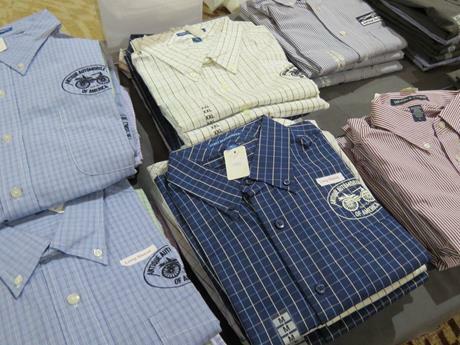 Shirts and ties were the favorites. 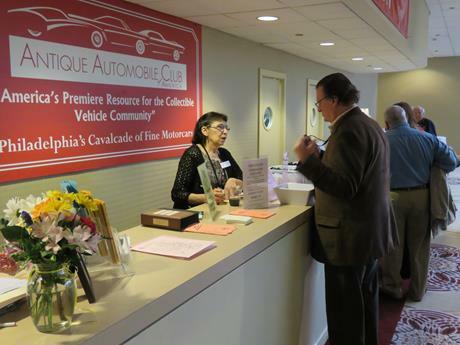 On Saturday afternoon the AACA General Membership Meeting was held. 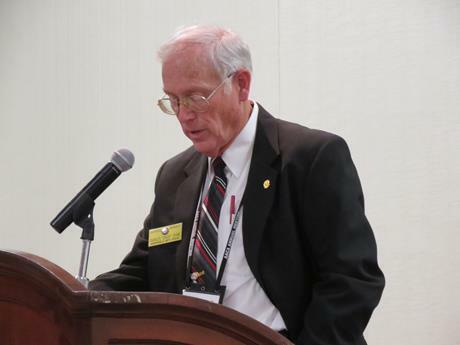 2018 AACA President Chuck Crane opened the meeting. 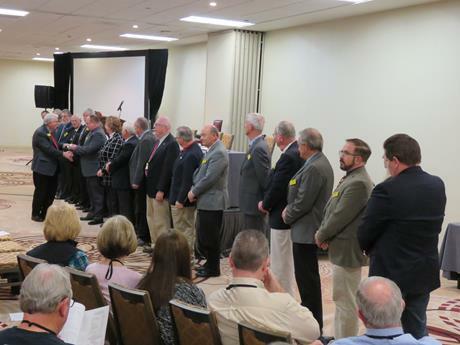 The 2018 AACA Board was introduced. 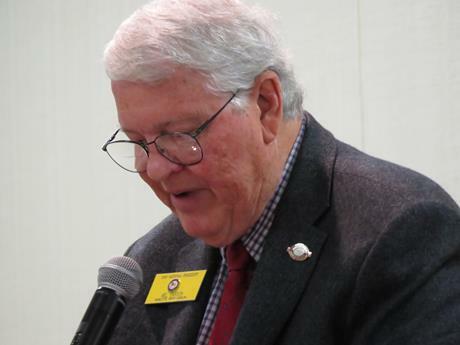 The gavel was then passed to 2019 AACA President, Mel Carson, who then addressed the assembled membership. 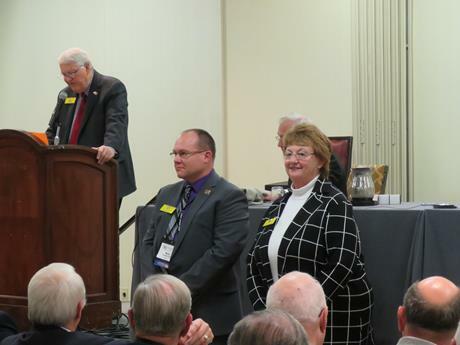 Mel then introduced the two newly-elected National directors: Chesapeake Region President, Paula Ruby and Stan Kulikowski. 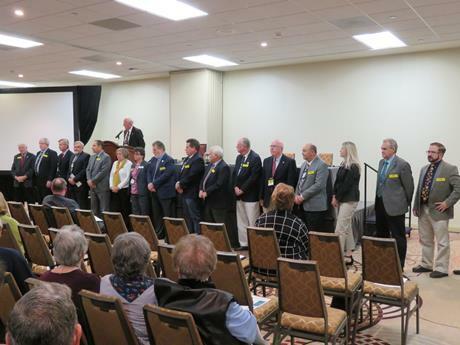 The 2019 Board of Directors was then welcomed. 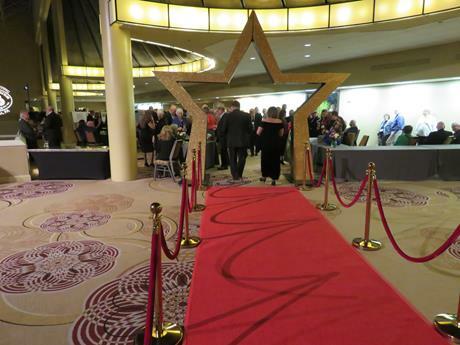 On Saturday evening the red carpet was rolled out for the AACA National Awards Reception. 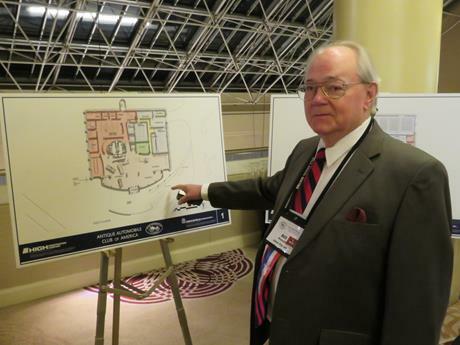 Newsletter editor, Bill, admires the plans for the new AACA Headquarters Building. 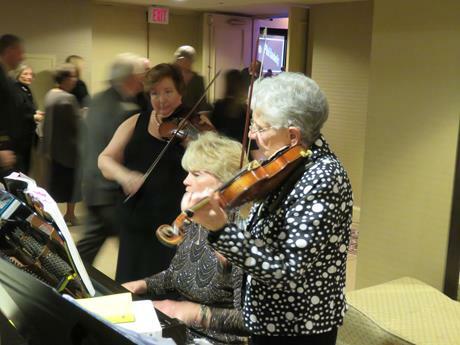 As the doors to the banquet room opened, this musical trio got the crowd moving with some rousing music. 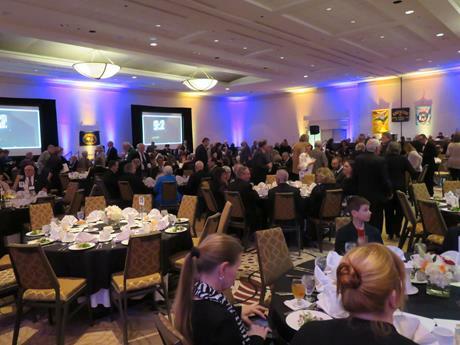 Inside, the banquet tables were all prepared, and the lighting was set down low. 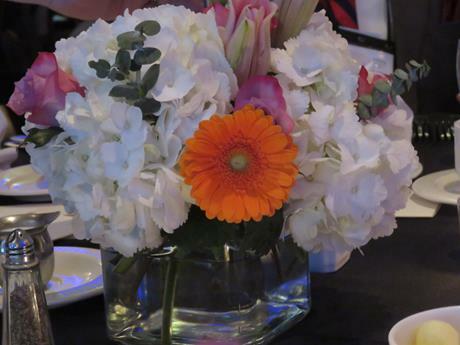 Floral centerpieces adorned every table. 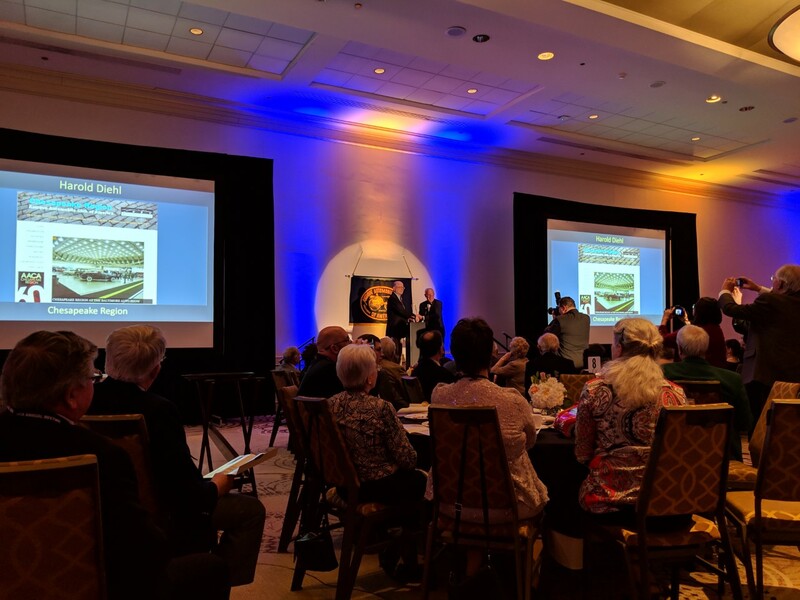 At the completion of a delicious dinner of petite filet mignon, mashed potatoes, asparagus and dessert, everyone's attention was drawn to the head table for the presentation of National awards. 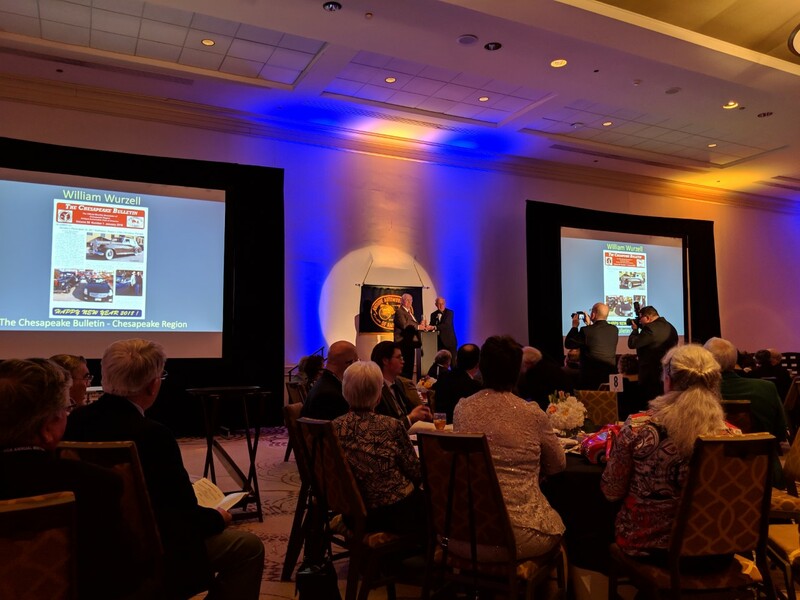 Chesapeake Region received an award for its newsletter: The Chesapeake Bulletin. 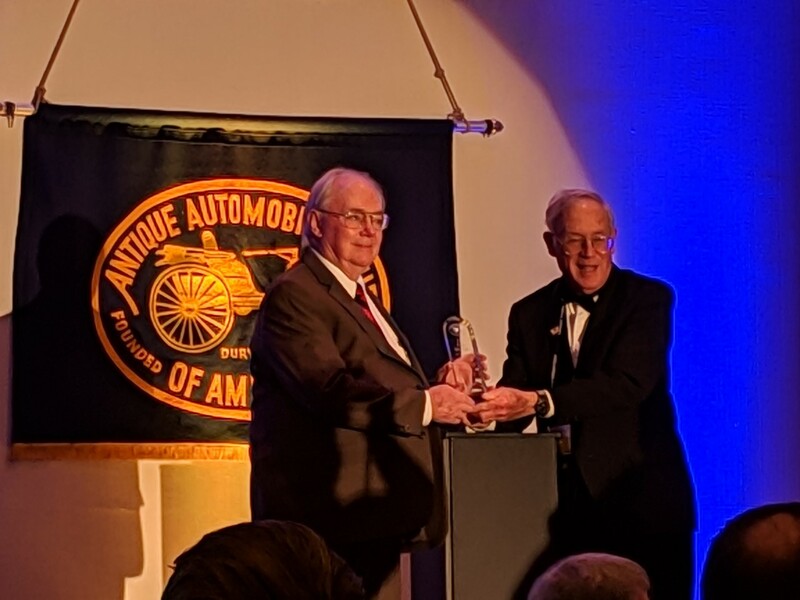 Editor Bill Wurzell receives his National AACA "Master Editor" award for year 2018. Likewise, we also received an award for our Chesapeake Region website. 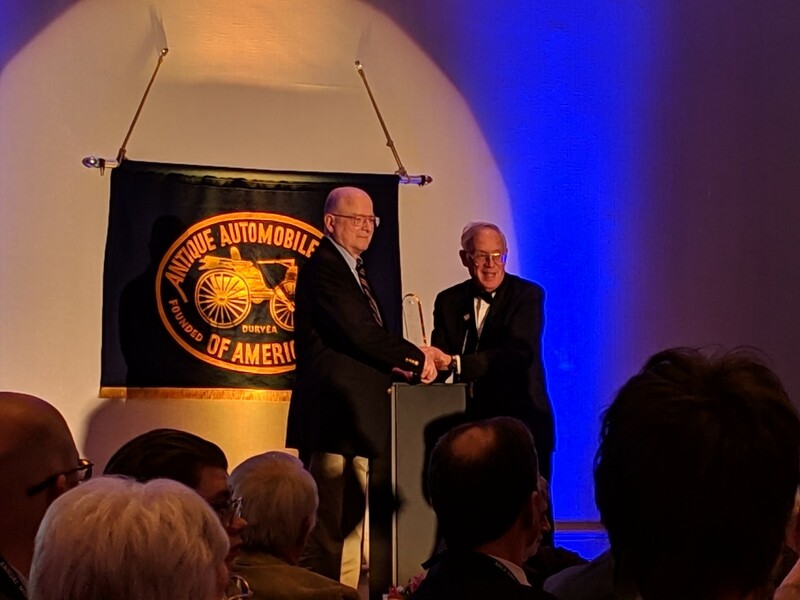 Webmaster Buzz Diehl receives his National AACA "Master Webmaster" award for year 2018. 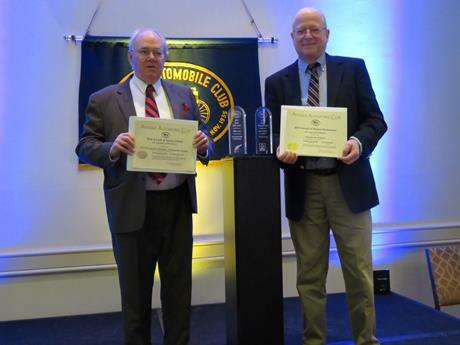 At the completion of the Awards Banquet, Bill and Buzz display their National AACA awards and Award Certificates.